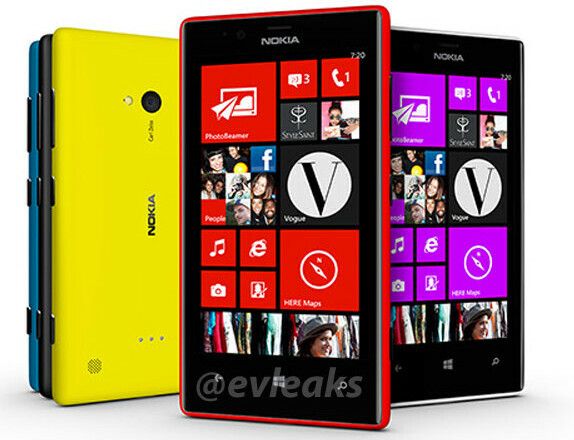 Thanks to evleaks, press renders for the both the Nokia Lumia 720 and Lumia 520 are now out. These phones would be the successors of the Lumia 710 and the Lumia 510 respectively. Both these use the similar fabula design and is expected to come in range of colors as seen in these images. No details about the specifications of the phones, but according to the rumors the Lumia 720 would come with a 4.3-inch Clear Black Display (CBD), powered by a 1 GHz dual-core processor, come with 512MB of RAM, 8GB of internal memory, and a microSD card slot. It would also have a 5 or 8 MP rear camera with Flash, Carl Zeiss optics and a front-facing camera. 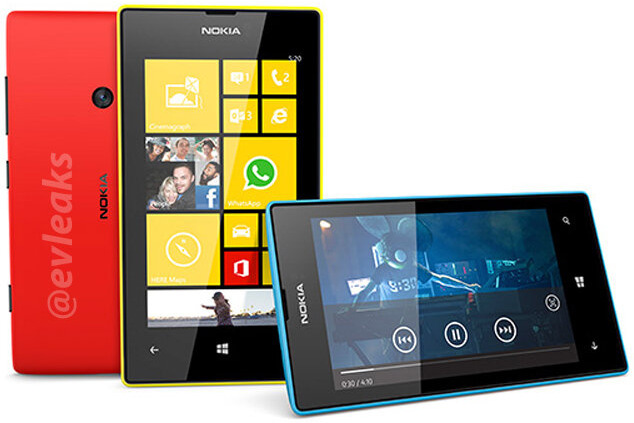 The Nokia Lumia 520 is expected to feature a 4-inch display, powered by a 1 GHz dual-core processor, come with 512MB of RAM, 4 GB of internal memory, microSD card slot and a 5MP rear camera. These phones would obviously run on the latest Windows Phone 8 OS. Both these phones are expected to be announced at the MWC 2013 next week along with the rumored PureView Windows Phone.